BlogHome » Blog » Eating Disorders » Divorce and Bulimia – How Do I Cope? I’m reminded of a few stories today that are carrying me through a transition period in my life. Well, I guess one is really a quote and one is a story. You see, I’m in the midst of separating from my husband after 7 ½ years together. This is definitely new territory for me. Heck, I’ve been with the same person for nearly the past decade – longer than I’ve ever been with one partner. Alright, why am I telling you this? Well, it’s because I want to share how I, as a recovered bulimic, get through the tough times in life like separation from a loved one or divorce. I guess I’m hoping if I share something about how I’m managing to chart my way through this time, especially this week, you’ll hopefully see something for yourself. To help you look at new ways to manage the tough times in your life without turning to food to cope or escape those bad feelings. It’s interesting I’ve chosen today to write about this subject because today’s been a real roller coaster ride. I probably broke down like five times in the middle of my day in tears. Pretty major waves of sadness rushing through my body. Let me share that quote and story before I move on with how I’m managing to move through this transition time. I’ve shared that on my blog before, but somehow the idea again seems appropriate today. You see, as I’m going through these tough times I can choose to focus on the sadness, the things I’m giving up, the loneliness that may be ahead for me. Or, I can choose to focus on the reasons why I’m giving up this relationship – because I believe in my heart I deserve and want something different for my life. What I also want to share is that I’m also looking to change course in my work. I’m currently working full-time and trying to get my coaching and website business of the ground. Needless to say it makes for some really long days/nights/weekends. There is a lot of transition in my life and I know that these waves of sadness or doubt or fear that well up inside me are natural. They’re emotional indicators I’m focusing on what I don’t want to have happen, not what I do want. I’m not focused on my vision. My future. I’m focusing on the dirt, not the gold. And the reason I feel sad or pinched off from Source is because I’m seeing this situation differently than Source sees it. It’s funny just saying that. I’ve probably said that to 100 people in my lifetime and here I am, crying because I feel sad today that I’m ending a wonderful relationship to a great guy. But, you see, I’ve decided I deserve more than love. I’ve lived with a love for this man for a long time, but we haven’t had passion and excitement for a long time, too. And I’m not willing to have one without the other. And Source knows that and has already created the relationship of my dreams. The reason I’m sad at the moment is because I’m focused on my perceived “loss” of love. Ha! What I’m not realizing or present to yet is how wonderful the new relationship with myself, with someone new will feel when I allow myself to grow into it. What I really wanted to talk to you about today was how I’m making my way through this sad time. This transition time with deep compassion and love for myself. I know that if I were bulimic today I’d be in the bathroom every day for hours. Purging my brains out over this one – why feel this way!!?? Oh, wait. I know. I’m not bulimic anymore. I feel this sadness, this pain, this grief because I know that it’s temporary. Who cares if you’re sad for a little while. Or maybe a longer while. My girlfriend calls ‘em “Pity Parties”. Who cares if I need to have a bit of a Pity Party for myself and feel sad for a few days or weeks? Well, I do, I guess. But, the feeling of this pain is natural…now that I know it’s not going to kill me. It’s actually healthy for my body to cry. It’s really healthy to release tears – I forget exactly why, but it is. Who cares? I just know that feeling sad for awhile is just part of my experience right now. In this moment. Or maybe for a period. But I also know that it will pass after not too long. I didn’t know that’s how you did it when I had bulimia. I thought if I felt bad I’d die. I thought if my heart was broken that somehow I’d not make it to my next birthday. Like this deep sadness was part of dying. What a fear-based dis-empoweirng story my mind made up! Emotions are good. Emotions are access to our true selves. You see, I know now that tears and worry and doubt and fear and all those negative things that I feel are just my inner emotional guidance system at work. I allow my guidance system to direct me. To tell me what I’m focused on. I feel sad and I know whatever thought I was recently thinking was not aligned with my Source. You see, this morning I started crying because I started to picture my home quiet – empty – alone. Just me and me. Thinking that thought did not feel good…actually, writing about it is kinda like thinking about it and here I am feeling sad and crying again. That internal guidance system is working! Trust your inner guidance system and connect to your emotions. Your feelings are your indicators of what you’re focusing on. If you feel good, you’re seeing your life the way Source does. If you’re feeling sad, angry, afraid, ashamed or any negative feelings, you’re focusing on something other than what Source sees for you. How to stop feeling bad: Start to go general with your thoughts. If you find yourself feeling negative, instead of beating yourself up or spiraling downward, just go general. What you want to do first is to lighten up the intensity. If I were to keep focusing on that empty house, the nights alone, the things we used to do that we won’t do any longer, I’ll just start to feel bad again (like I just did – crying again – dang!). Instead, start to go general…think thoughts like…this too shall pass. Life is always working out for me. I don’t have to think about that right now. I’m making the right choice even if there is a little heart ache now, in the long run I’ll feel better. I won’t feel this way forever. I’m feeling a little better now just writing those things actually. See – it works! 2. Me Time – the other big thing I was planning to write about (and listen to video here) was the concept of Me Time. In times when things are a little crazy in your life – maybe deadlines, or stressful periods, transition times, whatever it looks like. It’s those times when you feel you can hardly breath and you’re just going, going, going and there isn’t much space for you to even think, let alone take care of yourself. Well, you may not have a lot of time for you, but you have GOT to take at least 15 minutes to yourself each day. I recommend meditating during that time, but you may want to journal or go for a walk in nature or just read something inspiring. If you don’t think you can fit that time in, I want you to promise me you will. Even if you have to get up earlier than you already do – call me crazy. I know you already pack it in. Trust me on this one. Giving yourself some peace and quiet will allow you the inner peace to be present for all the other hours and responsibilities you have. 3. 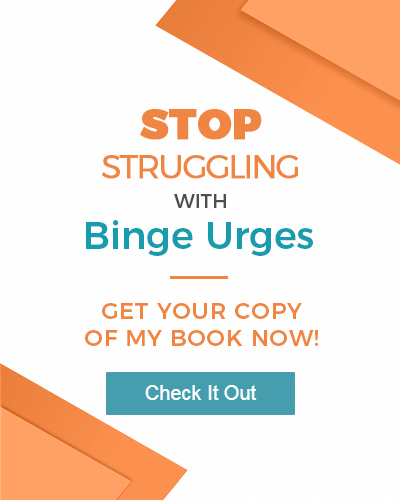 Change your story – earlier today I was feeling that sadness and like I didn’t have much time for myself. I had myself booked solid from morning to night. I was telling myself some pretty pitiful stories about “woe is me”. I’m working so hard and little reward. And then I just changed my perception in a moment of consciousness when I realized I was sending myself down a spiral that was not going to go well. I stopped, took a breath, stood up straight and said “I’ve got this.” I realized I was wallowing in all of my work and stuff going on in my life. I can choose to see it as going through hell or I can see it as the life I chose and look for learning and lessons…and miracles. Funny thing is within the next hour three really great surprises came my way. Small things, but noticeable to me because I changed my vibration – my focus. The Universe had to start showing up differently. Little things like a store clerk giving me a sincere smile, offering me a shopping cart and a warm welcome greeting, a friend calling me and telling me she wanted to help me with a problem I was working on and a guy I thought I would have to pay for some work offering to help me on the phone right then and there for free. Gosh, I feel so much better just getting all that out. I’ve been crying most of the time I wrote this for you, but that feels a lot better than holding in all that sadness. And, again, I know that it’s just because I’m focusing on what I don’t want that’s causing me to feel that way. As soon as I shift my focus to you, to this article, to why I’m writing this and I’m inspired. Instantly. Boy o’ boy this will be an interesting one for me to come back and read five years from now. What a change of scenery my life will be and how I’ll look back on this transition period, and perhaps even this one post, and remember what sometimes felt like hell. As Winston Churchill said…just keep going. That’s really how surfing your emotions is. You just go through them – or better said – they go through you. It’s when you try to stuff them down with food that you don’t get them out. That leads to a lot worse problems than a little sadness. Well, I hope there’s something of value to you in this post and I thank you for listening. I welcome your comments below.